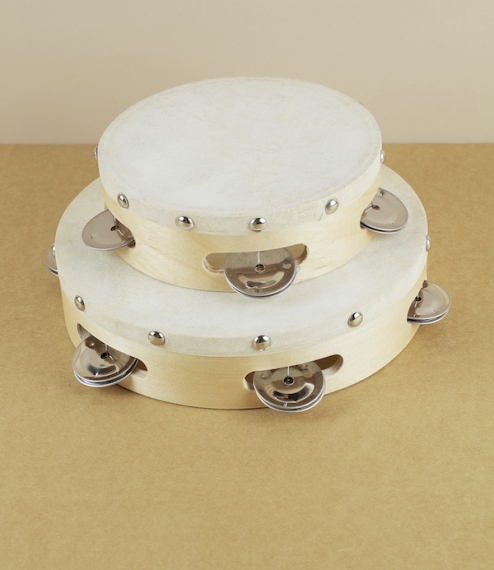 Classic birch ply and natural hide tambourines with single rows of zils. Played simply with a flick of the wrist, a tap of the frame, or beating of the skin. Perfect for those with a dream to make like Mick Jagger, or Stevie Nicks, or Robert Plant, or Kim Gordon, or Prince, or even Bez (yes we know those were maracas); or given their apparent ease of playing to at least relive some of those primary school highlights.